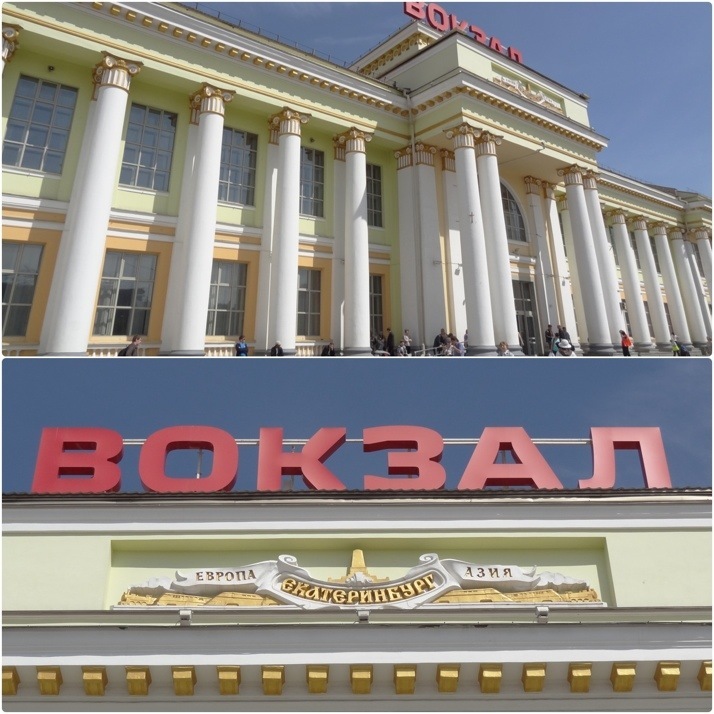 Yekaterinburg is the fifth largest city in Russia, the third largest in Siberia, and sits on the Europe-Asia border. 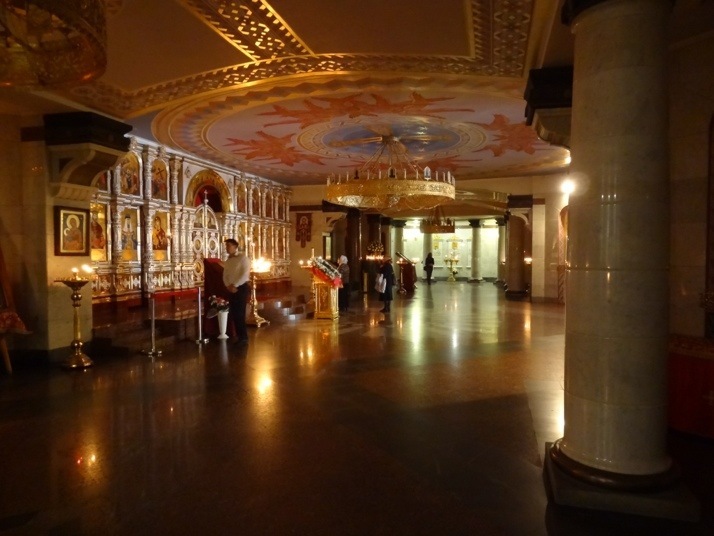 But it is perhaps most famous as the place where the last Russian Tsar was murdered at the start of the Soviet Revolution in 1917-18. The story of the Romanov’s transportation to Yekaterinburg via Tobolsk, their murder in the basement of the rich merchant’s house they were held in, the disposal of the bodies and their subsequent exhumation, canonisation, and state-funeral in St. Petersburg is lengthy and morbidly fascinating. The merchant’s house was demolished on orders from Boris Yeltsin in 1976, the then mayor of the city, later to become president of the Soviet Federation. 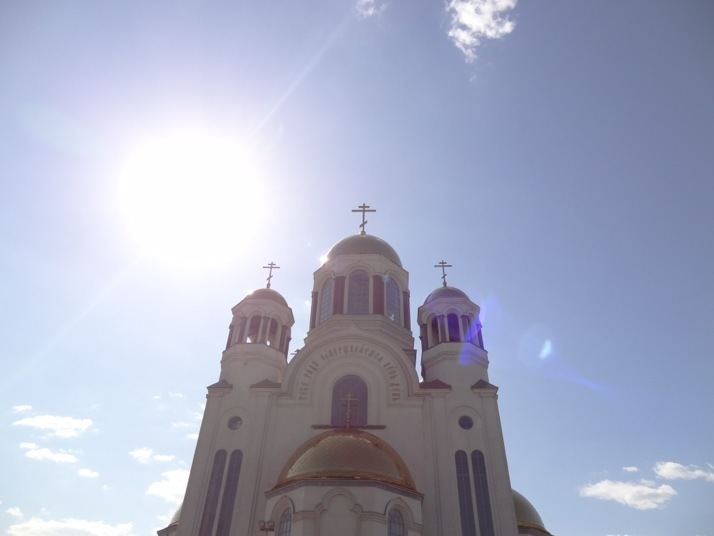 The site is now dominated by the shiny Church on the Blood, dedicated to the Tsar martyrs. 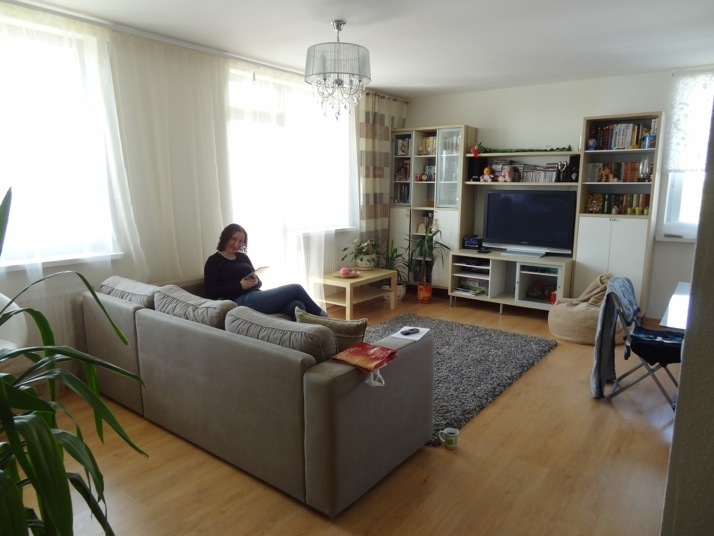 This was the second time in a row we’ve hit the jackpot with our accommodation choice through airbnb.com – Irina and her son Igor picked us up from the train station, showed us around their apartment which we’d booked a double room in, then promptly left – we had the whole place to ourselves! 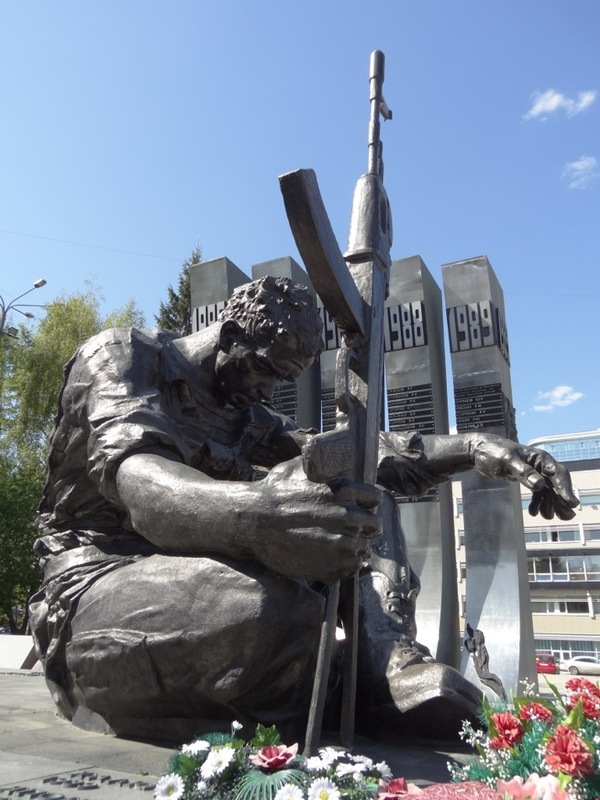 Next we made our way to the Romanov Memorial Church on the Blood, via the Ascension Cathedral opposite, and the striking memorial to the Russians lost in the Afghan war. 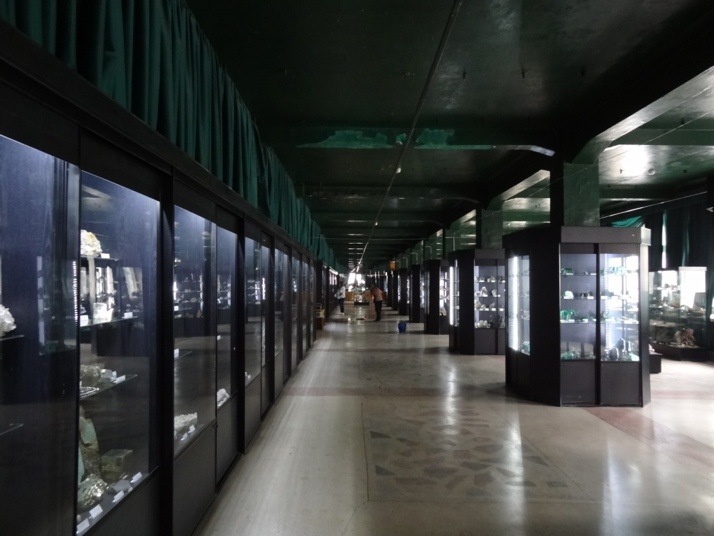 The next day we attempted to get into the largest private collection of precious stones, metals and crystals collected from the Ural region, but despite the Mineralogical museum building being open and the signs outside and in saying it was open, the main museum doors were locked. 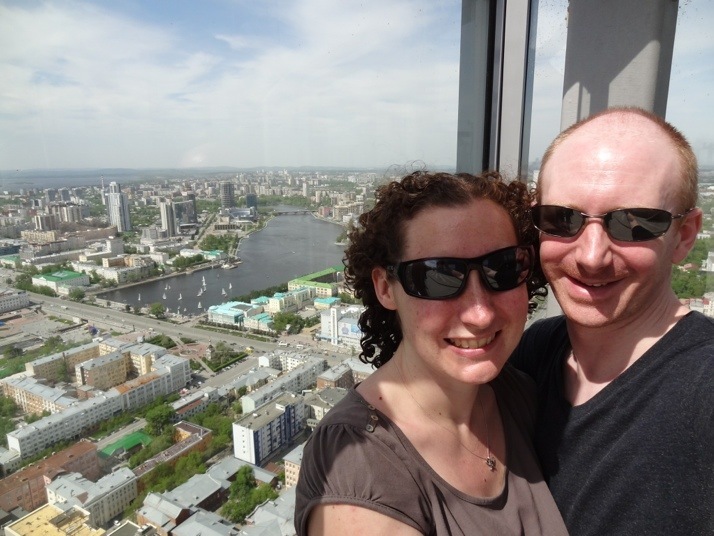 Thwarted again, we started to wonder if we had overbooked our time in Yekaterinburg as the city seemed to be shut. 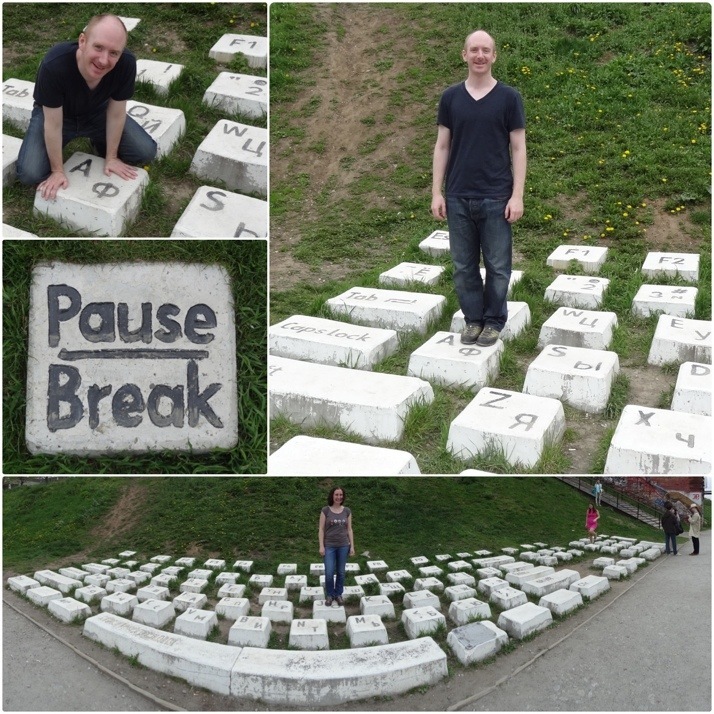 After picking up a map from the tourist information office, we spotted that the “QWERTY” art installation was on the way back to our apartment, along the river Iset. 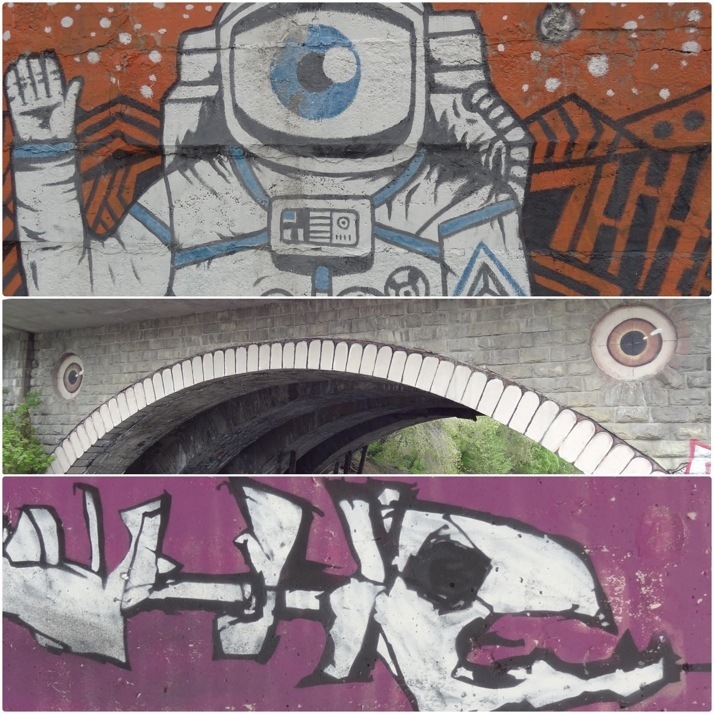 There was some cool graffiti on the way home too..
That night we decided to get a little more organised, so we made a list of what we wanted to do, planned our days to try the sights we’d missed again, and asked Irina if we could stay a couple of extra nights. 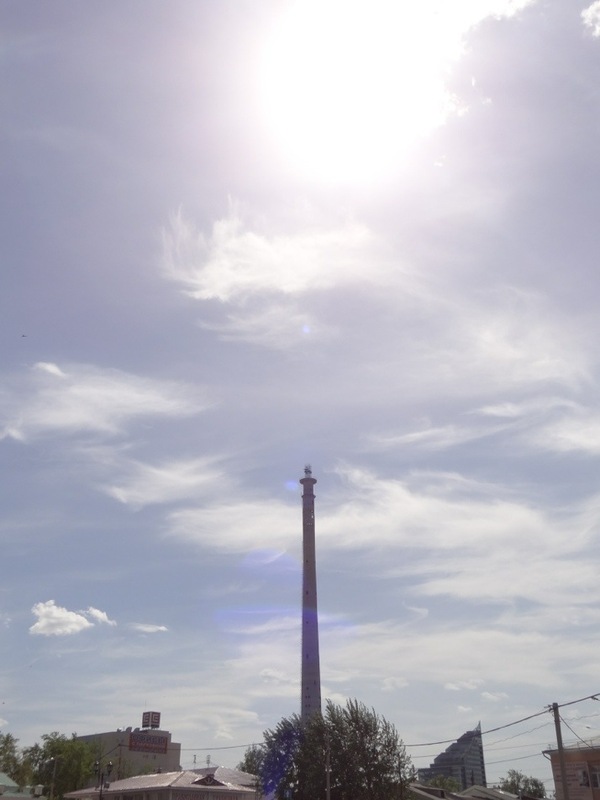 Speaking of tall things, Yekaterinburg has the worlds tallest unfinished structure – a TV Tower that stands at 220m. They got to half of its intended height before construction was abandoned in the 1990s and after a number of trespassing free-climbers died attempting to climb it, it has been fenced off. It’s visible from almost anywhere in the city. 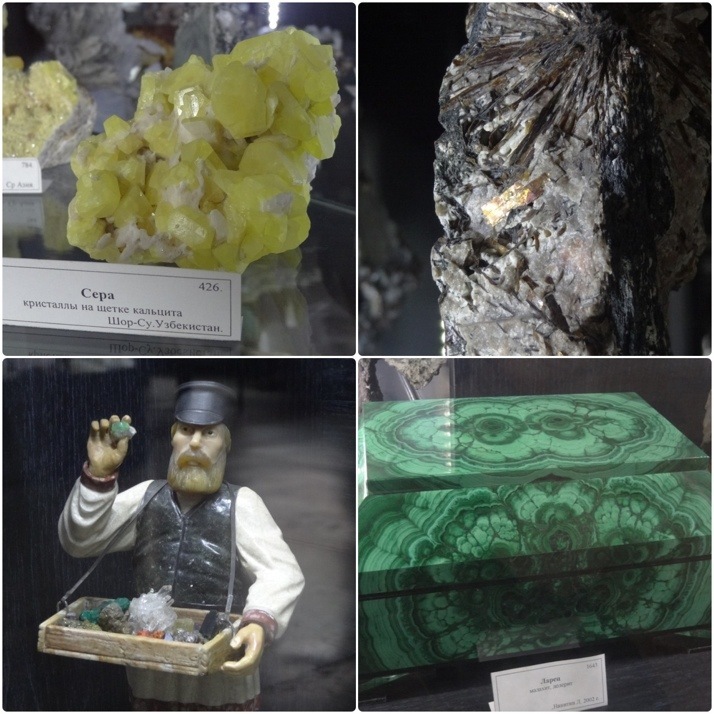 The following day we tried the Mineralogical Museum one last time, and.. it was open! 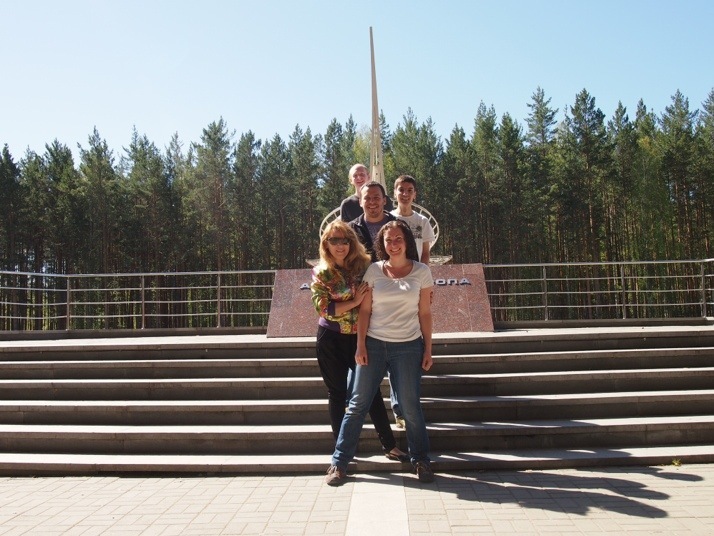 Urals Mineralogical Museum, worth the perseverance! The Mineralogical Museum contains raw minerals, crystals and chunks of metals, but also some statues, ornaments and trinkets made from minerals too. We really enjoyed the variety and scale – some of the pieces near the door were really big. While researching, I’d read that the world’s oldest idol is on display in Yekaterinburg. The Shigir Idol, dated 7,500 B.C.E was found in the Urals and what remains of it can be seen here, that is, if you know which of the 4 museums with “History” in their title it is in. 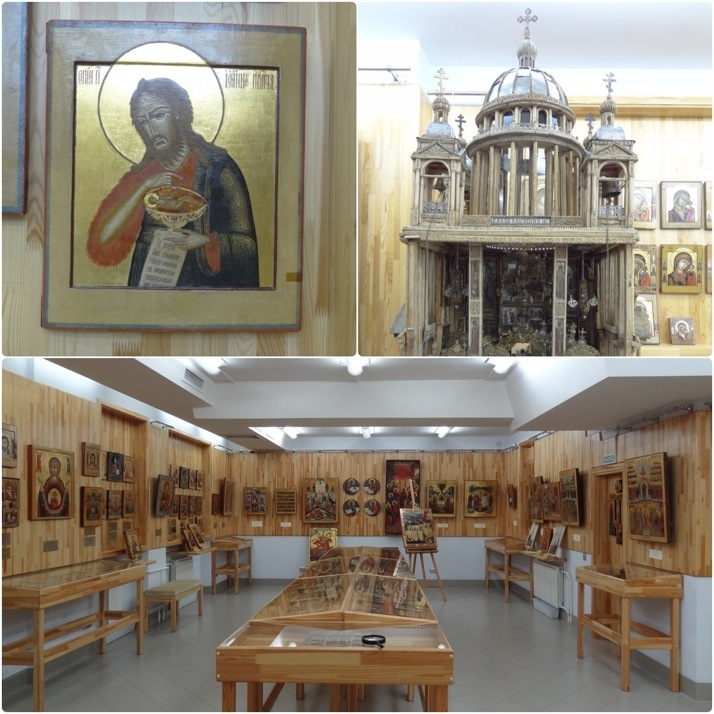 I couldn’t find any mention less vague than “a history museum”, so we took a stab at the Icon History museum, and I can tell you the Shigir Idol is NOT among its exhibits. Still, the Icon History museum was nice for a few reasons; it was small but full of really ornately painted religious icons – so ornate they had magnifying glasses dotted around for closer inspection; it was raining outside, and there was what I can only describe as a church in the style of a doll’s house, which the museum staff took great delight in opening up and showing off. A little tired of walking, we got up early the next day and headed east of the city centre by tram to the nearby Kamennie Palatki (which means ‘stone tents’) and Lake Shartash, where, after some inventive sign-language that included me saying “ding-ding” and miming the bell on handlebars, we successfully hired a couple of mountain bikes and cycled it’s 12.5km circumference. 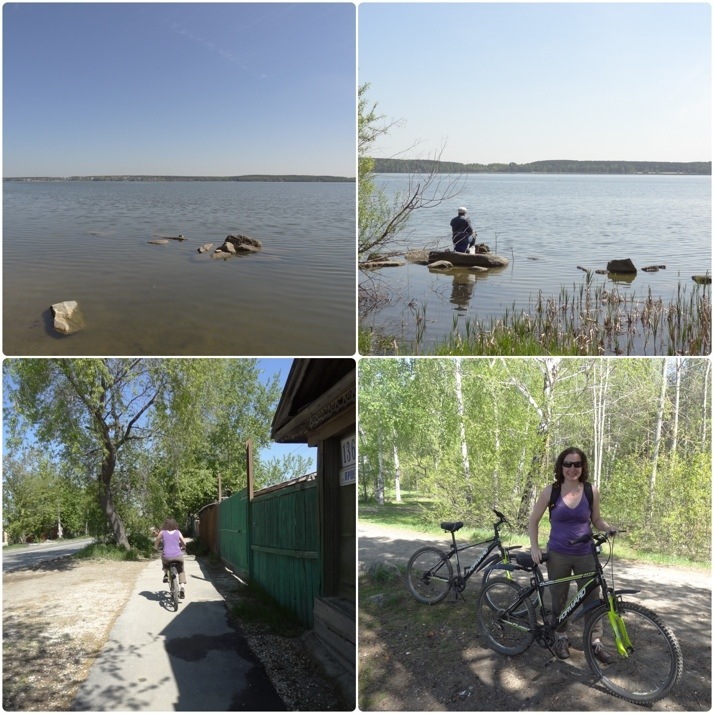 There isn’t a clearly marked cycle-way, but starting at the water’s edge we just kept the lake in sight as we made our way on the various pathways, access roads and muddy tracks. We were surprised at how many lone fishermen lined the shore, most with a rod and net, but some with multiple lines and hideaways, and even one or two in waders! That night, two German guys arrived to share the apartment with us. Marcus and Michael found they shared a love of train travel, and had just 3 and half weeks of holiday to get from Moscow to Beijing. The next day, Irina had arranged to take the four of us to see a couple of the famous sights. Irina translated the plaques on the monument – it contains stone quarried from each continent, and the European side is from Italy. There’s also a ceremonial area at the site where couples come to get married. 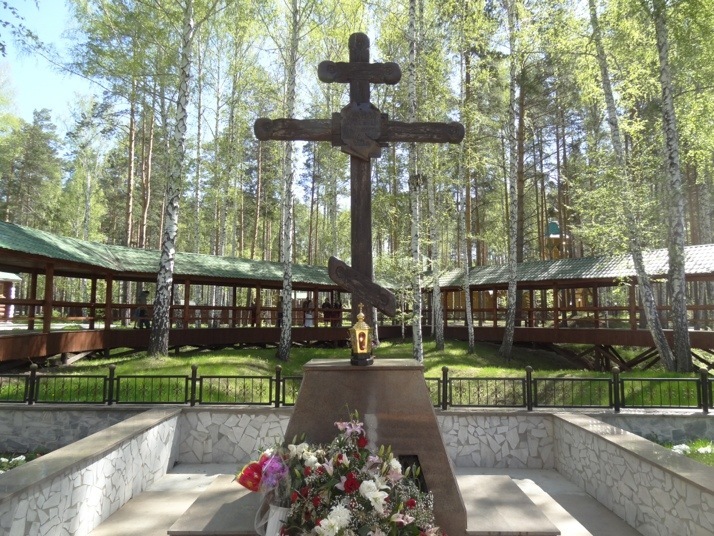 From there we went to Ganina Yama which used to be an abandoned mine, and is the site where the bodies of the murdered Tsar Nicholas II and his family were taken to be disposed of in 1918. 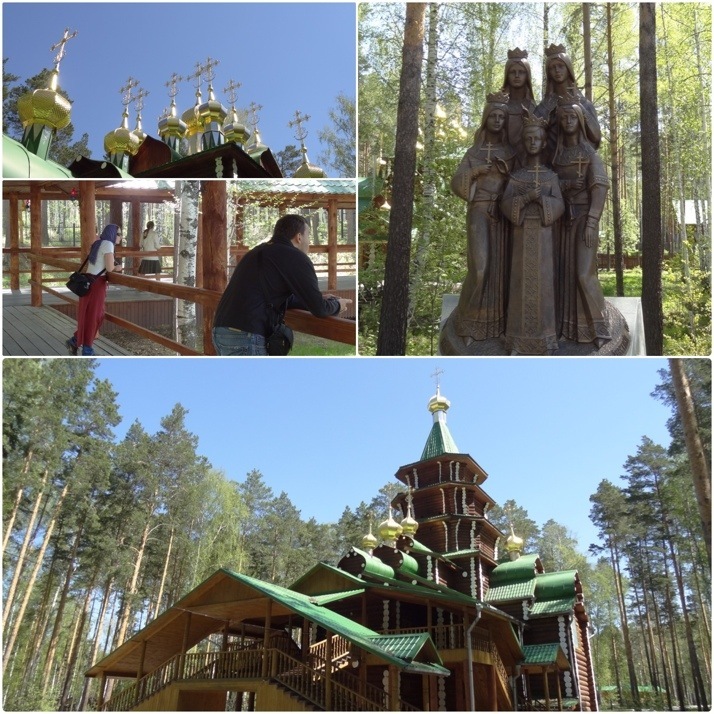 Today the site resembles an outdoor museum of churches – there are beautiful churches, shrines and statues every few paces located in a secluded, fenced off area of woodland. The highlight for me was the covered walkway around the series of pits where the bodies were found. We were fortunate that it wasn’t busy, so we had time and tranquility to reflect. Irina dropped the 4 of us in the centre on her way to work, and it was our turn to be tour-guides for our new found German friends as we showed them the sights. 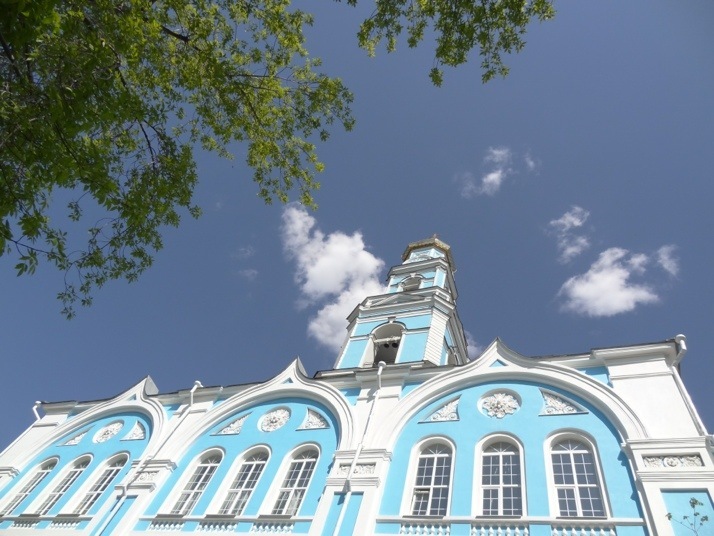 We had a great time chatting with Marcus and Michael – Marcus in particular has a very witty sense of humour :o) – and it was a perfect end to our time in Yekaterinburg. 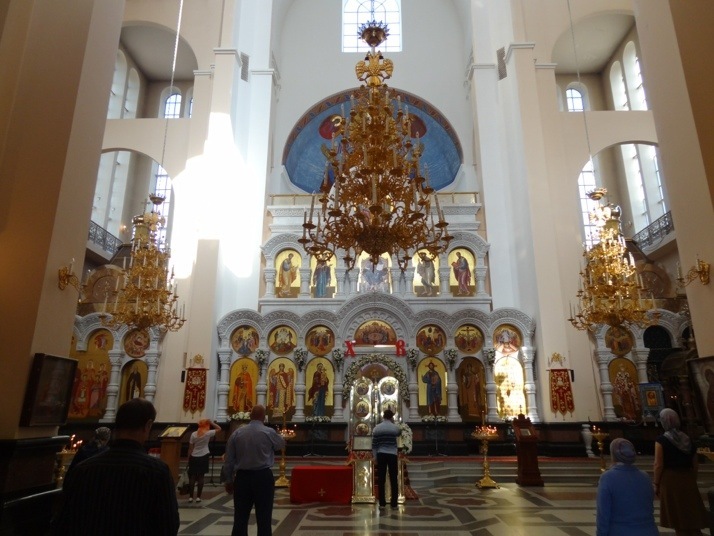 This entry was posted in Places and tagged Asia, Russia, Urals, Yekaterinburg on June 5, 2013 by Andrew.